Something you don’t know you need until you really really need it. One of our clients was happily based in the UK, managing a large number of advertising jobs, preparing the artwork and delivering them on time. They were so successful that they expanded. Not just in the UK, but in the Netherlands, Germany, Spain. The odd job would be delivered late. Artwork went missing. Things fell between the cracks. 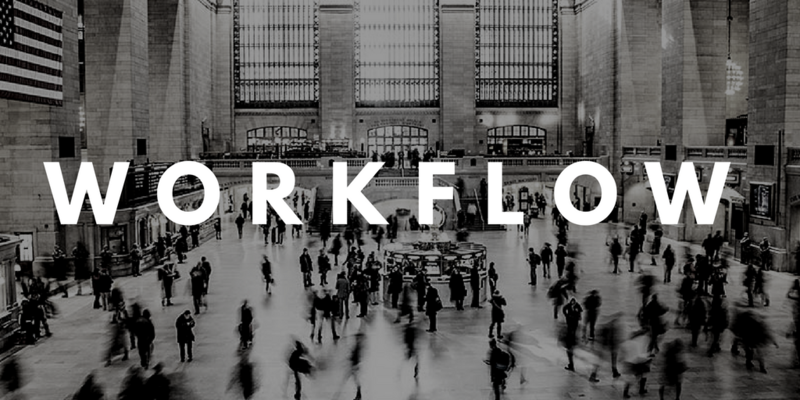 What they needed was workflow. So we sat down with them and went through how they handle a job. How should it work? How do you handle it if something goes wrong? Where are things likely to go wrong and what can we do to prevent it? The end result was a workflow application. A dashboard that shows all jobs in progress, organised by status. So, at a glance, they can see which jobs are where, if they are running late, who is responsible for delivery, which needs action. Each individual job follows one of two processes, depending upon the type of job. Some involve emailing the suppliers and requesting information from them. Some just go straight through to an artworker. All have a deadline and a person responsible for delivery. In addition to the Dashboard, there’s also a Work in Progress report, letting the management know how things are going. And a Work Completed report, showing lead times on different jobs, by type, by responsible person and so on. Everything they need to ensure that their jobs are completed on time and trouble-shoot why things are going wrong if they are not.